AND LATE MODEL HARLEY-DAVIDSON SERVICE, REPAIR, AND CUSTOMIZATION. CALL US FOR AN APPOINTMENT OR STOP BY ANY TIME! From tire replacement and routine maintenance to diagnostic troubleshooting and collision repair, we offer you highly-trained, factory-certified service in a friendly, one-on-one environment. Make your bike your own! 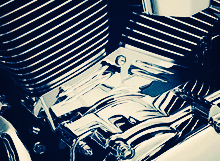 We offer you choices from genuine Harley and brand-name aftermarket to custom fabricated parts. We have the knowledge, experience and resources to help guide you. 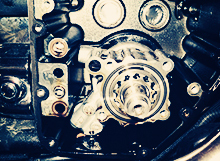 Thinking about having your motor rebuilt, adding more horsepower or ramping up your exhaust? Whatever result you are wanting to achieve, we are here to meet your performance needs! 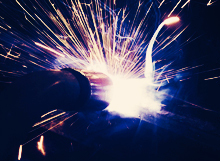 No matter the size or difficulty of your project, our goal is to provide you with the best quality and service. 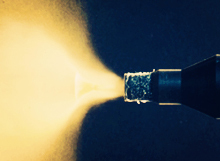 And not just powdercoating either…you can trust us with all your custom paint and chrome. MOTORCYCLES ARE IN HIS BLOOD. HE WAS BORN INTO THIS LIFE. Bob grew up in a shop, with his father by his side. He was riding by the age of 15. From that point on, bikes were his obsession. He didn’t want to do anything else. After graduating from high school, he began what would become his life-long career in the motorcycle industry. He spent the next several years working a variety of positions in various Harley-Davidson dealerships across Pennsylvania and New Jersey. 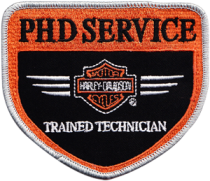 After going back to school, Bob graduated with honors as a PHD factory-certified Harley-Davidson master technician. He put in some more years at the dealerships, but ultimately decided that what he really wanted was to open his own shop. He wanted to memorialize the dealerships of times past. The dealerships he grew up in, where things just weren’t so fancy and where the owners and employees not only knew your name, but actually cared about you and your bike. And that’s when Lucky Clover Cycles was born. Built on tough love, the doors were then opened as a living tribute to his parents. It has taken a few years, a couple moves, and even a name change to build it up to what it is today, but it has certainly been worth all the hard work. Bob loves what he does. He says it is not work; it’s his passion. He and his family look forward to many years of future success and great relationships. So, stop by and see what Lucky Clover Cycles can do for you! As happy as we are to do all the daily duties of routine maintenances and tires, what we really get excited about are fabrication jobs, custom builds and new paint. Visit often as we continue to build up our portfolio. Want to know what other customers think of Lucky Clover? Or, would you like to leave a comment for us to share with others? We love hearing what we are doing right, and even what we are aren’t. We know what weekends were meant for and love to have a good time just like you. Any events we host, support or are involved in will be posted here. And if you have an event you'd like us to host or a run we can help with, please contact us. We may not always have bikes for sale or on consignment, but when we do, be assured, we will post them here. Make sure you check back regularly. Contact us if you would like to sell or are looking for something in particular.